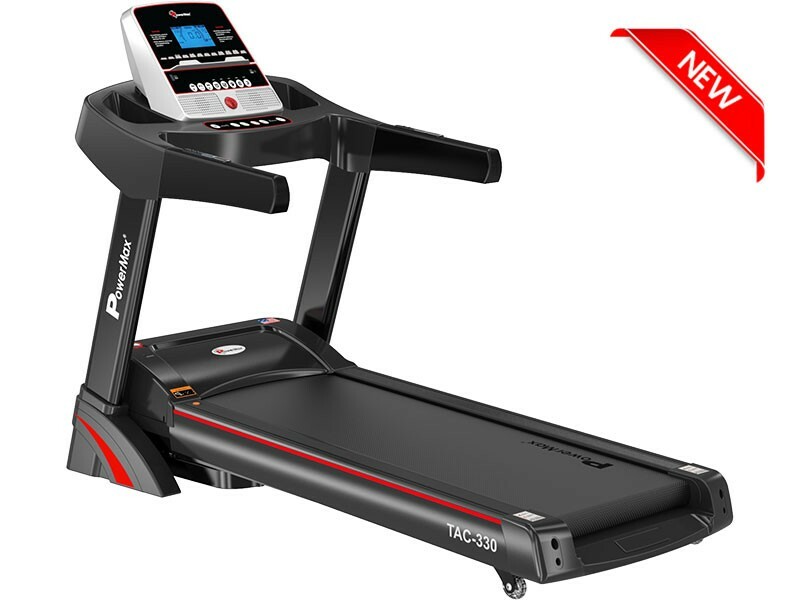 The professional design of The PowerMax Fitness TAC-330 Semi-Commercial AC Motorized Treadmill with Semi-Auto Lubricating treadmill motor is in accordance with 3.0 HP DC motor that makes the motor reliable in high speed. 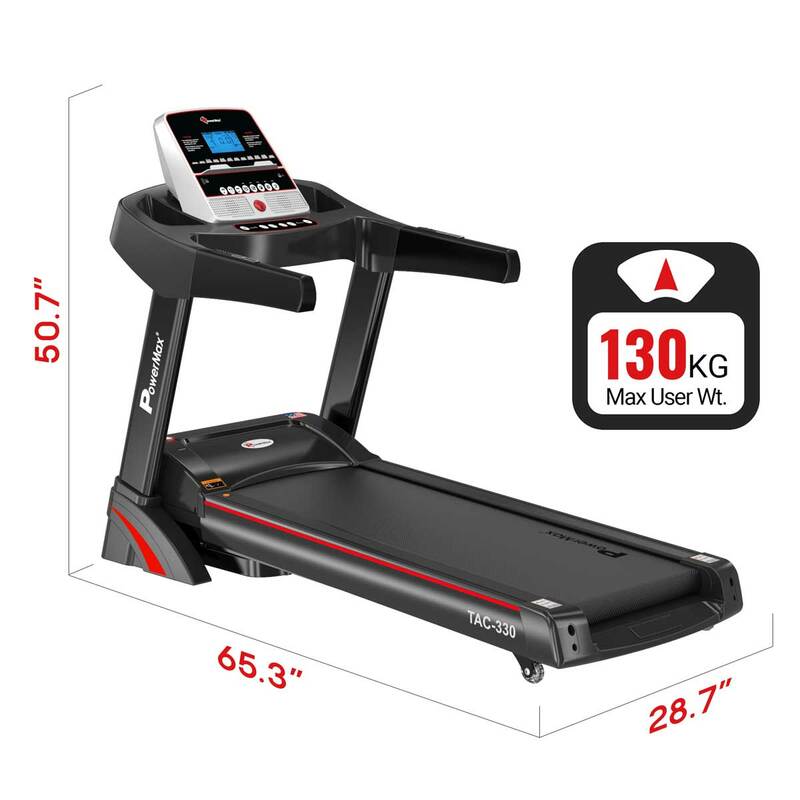 Compatible with MP3 player through a line-in connection, treadmill offers you the most enjoyable sport experience. 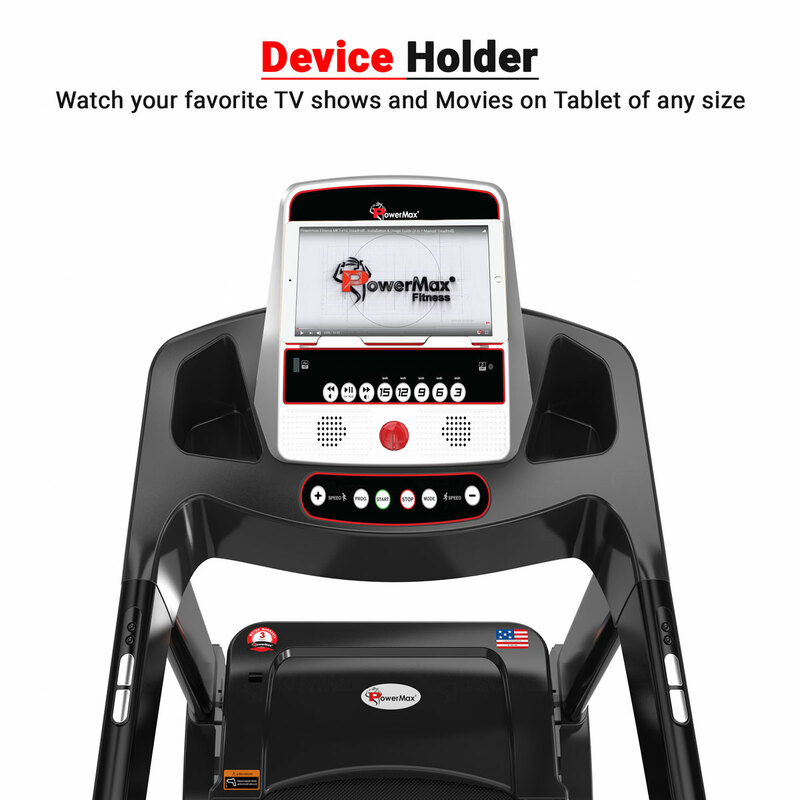 Instead of just listening to music, you can speak to phone while running. 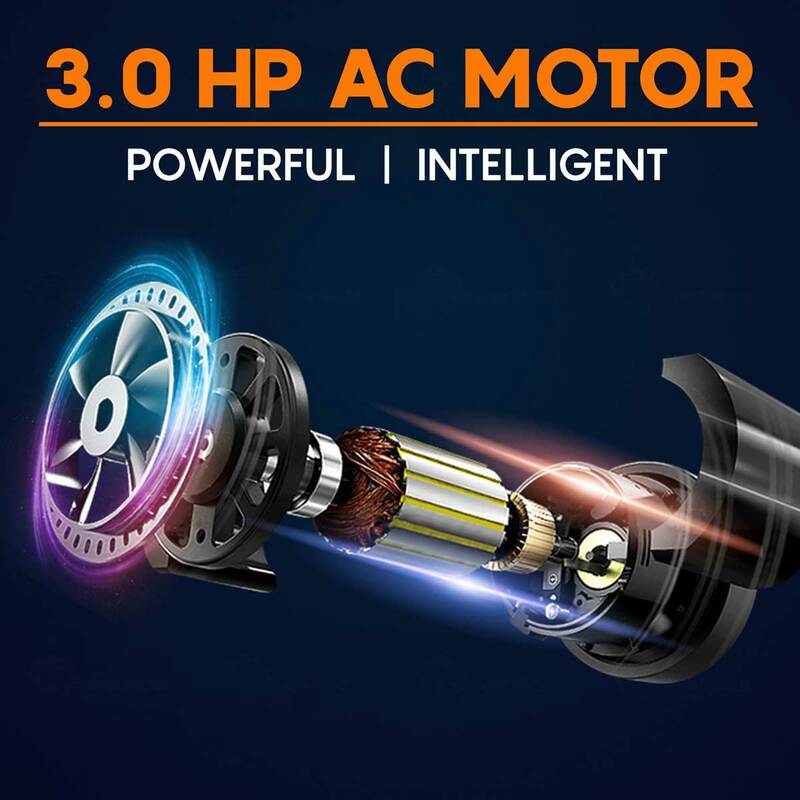 In TAC-330 Audio is available through built-in speaker. 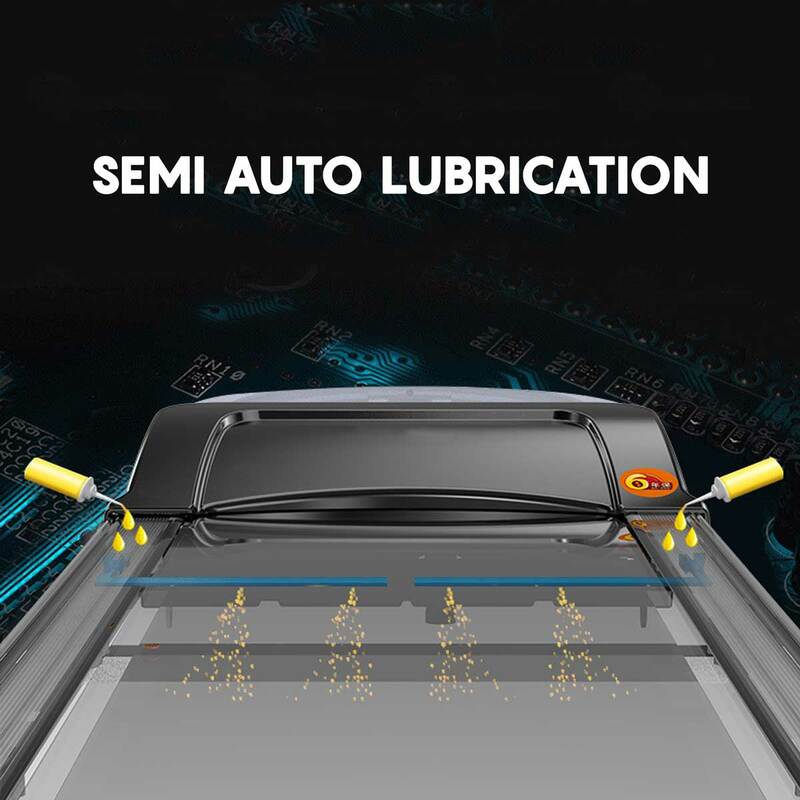 With highly protection of knees and ankles, users can work out safely! 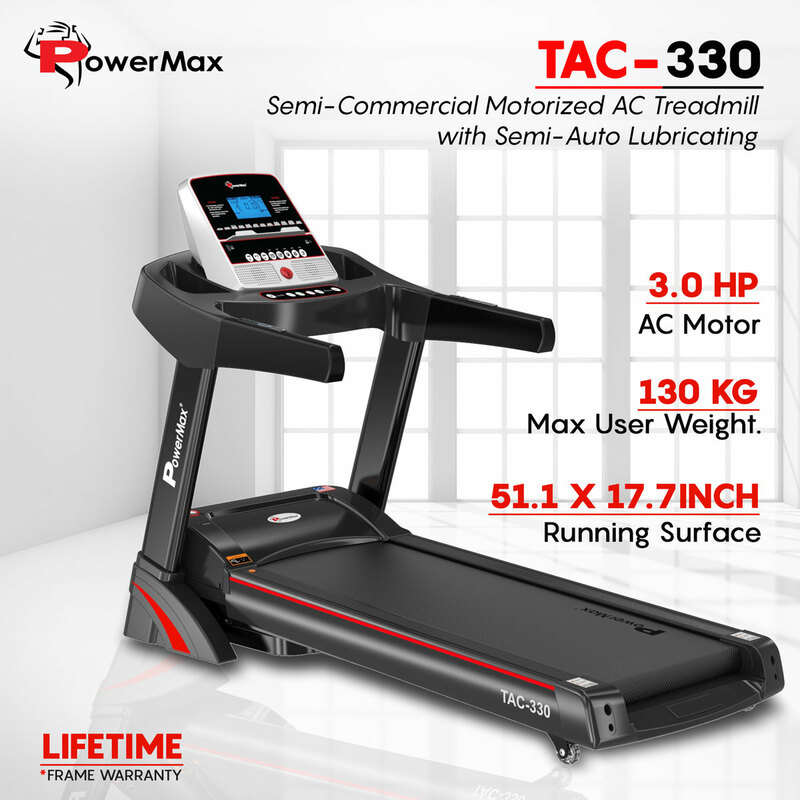 The professional design of The PowerMax Fitness TAC-330 Semi-Commercial AC Motorized Treadmill with Semi-Auto Lubricating treadmill motor is in accordance with 3.0 HP DC motor that makes the motor reliable in high speed. 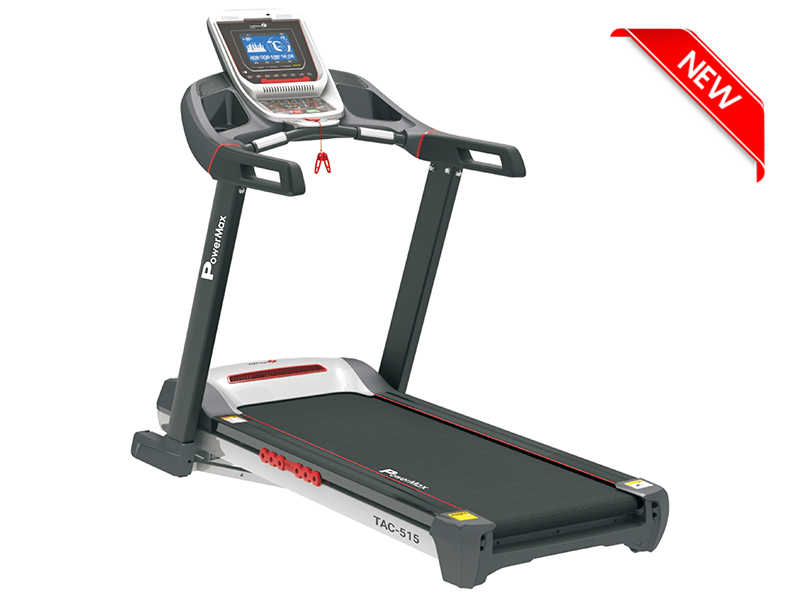 Compatible with MP3 player through a line-in connection, treadmill offers you the most enjoyable sport experience. 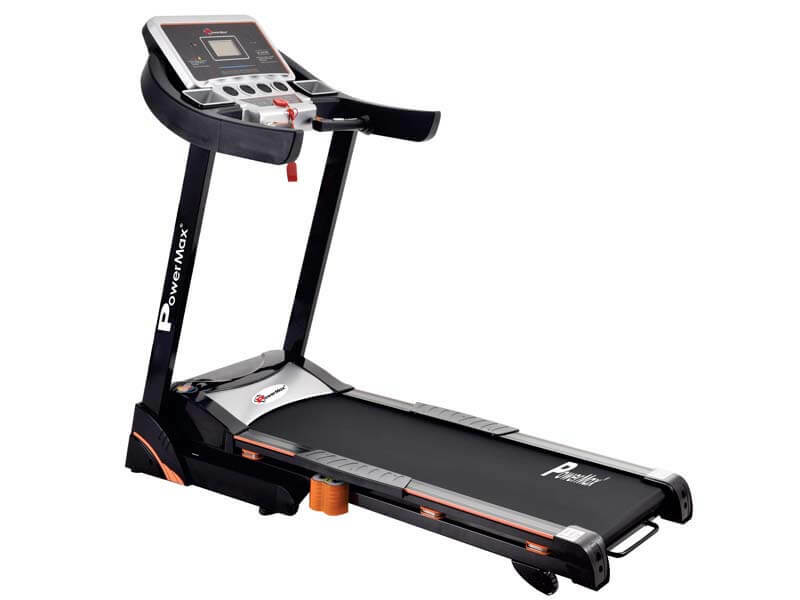 Instead of just listening to music, you can speak to phone while running. 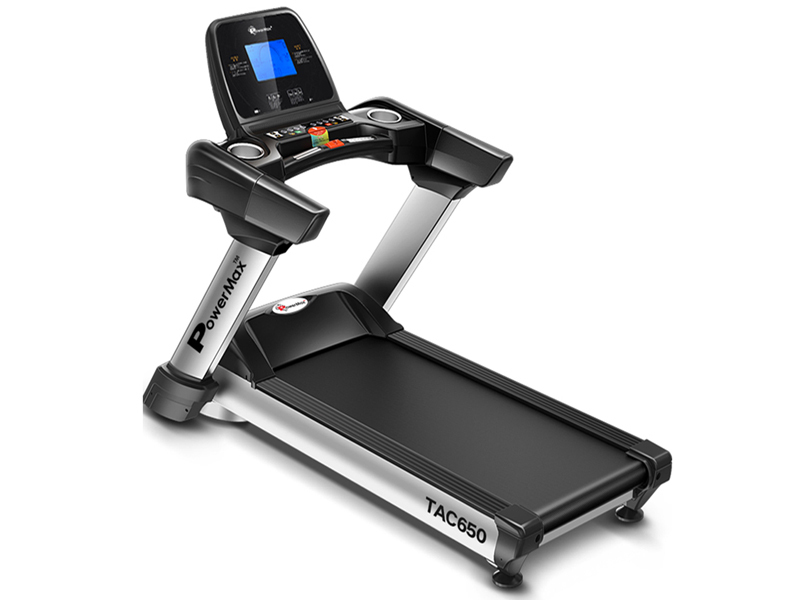 In TAC-330 Audio is available through built-in speaker. 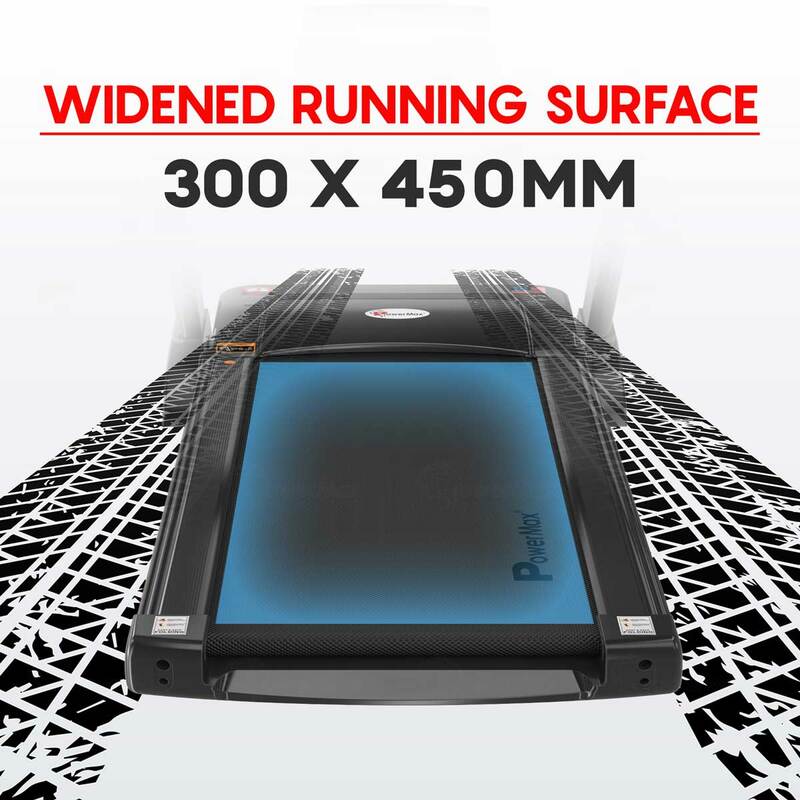 With highly protection of knees and ankles, users can work out safely! Beside the Dual Spring shock absorbing balls, equipped with double layer running Cushions, which absorb the shock efficiently while running. 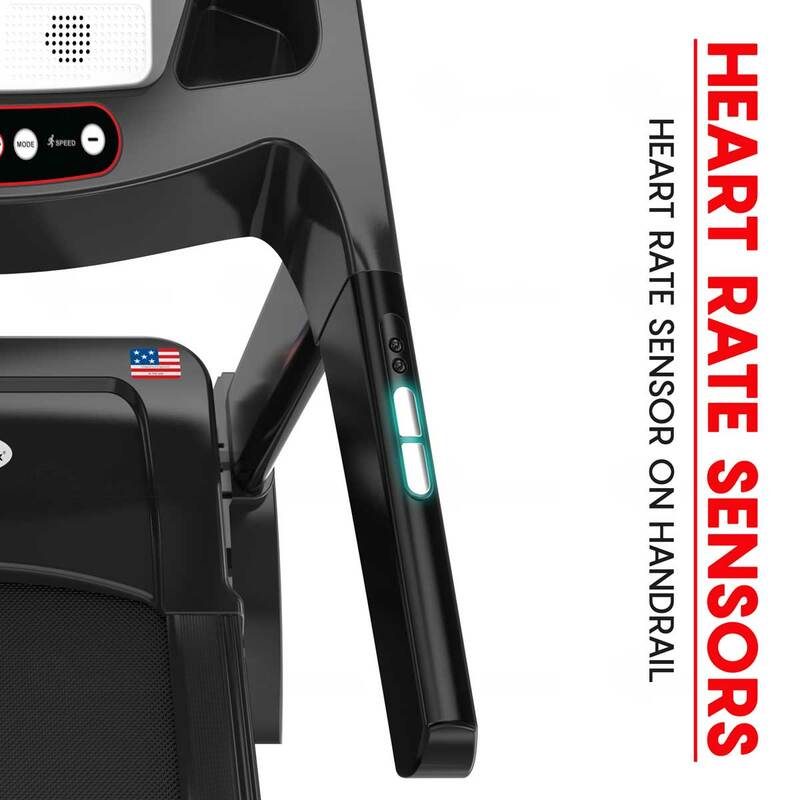 The convenient design of contact pulse measurement system allows users to easily and comfortably control the exercise progress. 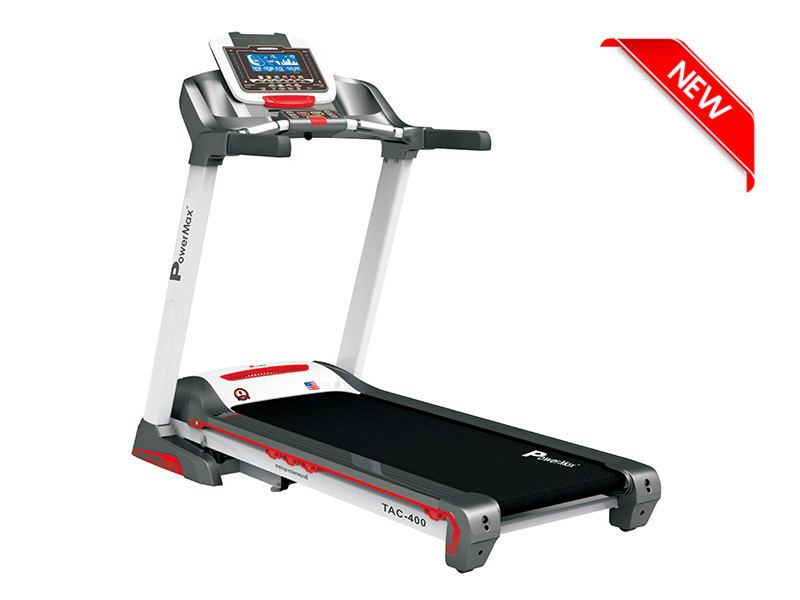 The easy to use HSS folding system allows you to unfold the treadmills by simply kicking the yellow tube and lowering the treadmill. 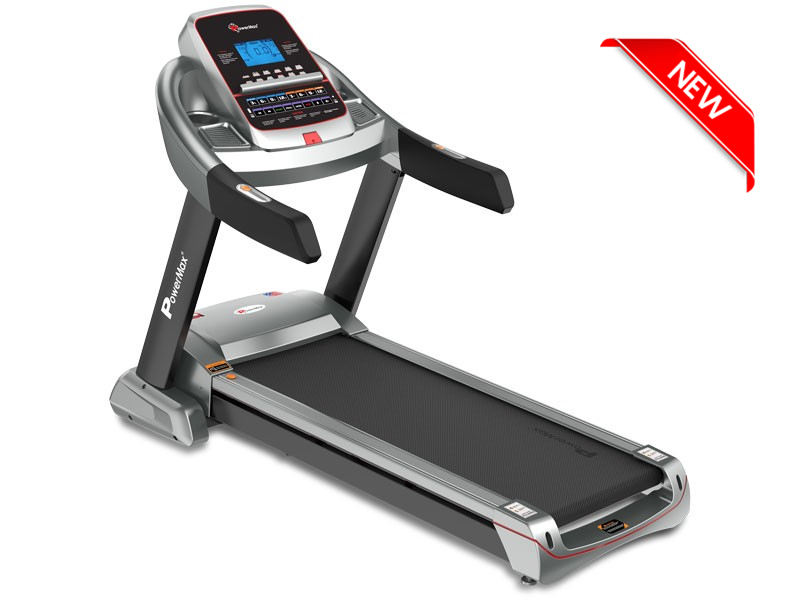 This exclusive HSS supports the weight as the treadmill is lowered and lifted. 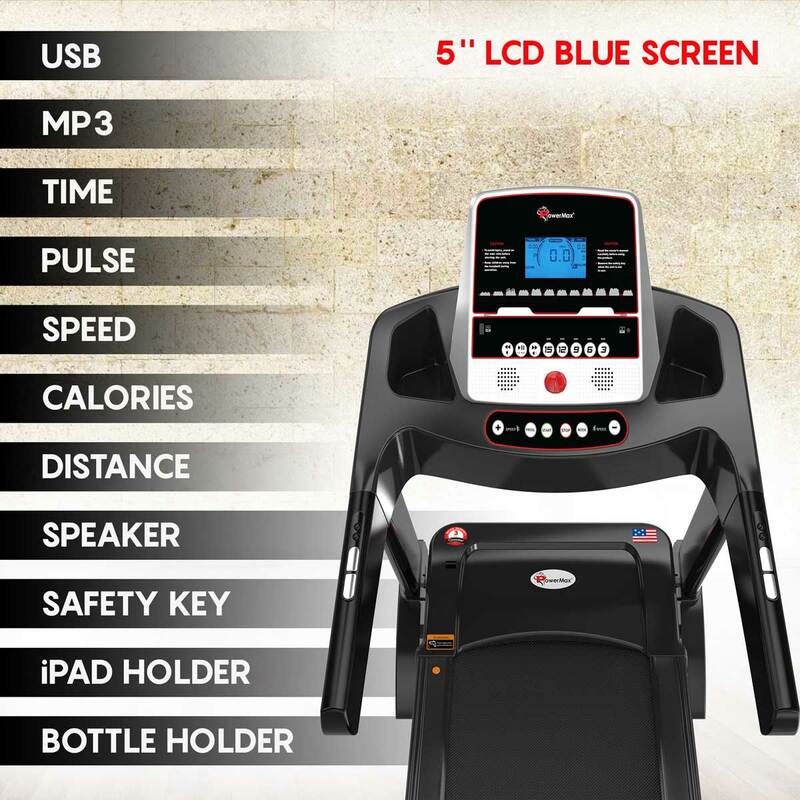 The display is 5’’ LCD Blue Screen that displays time, Speed, distance, incline, and calories burned and the heart rate. 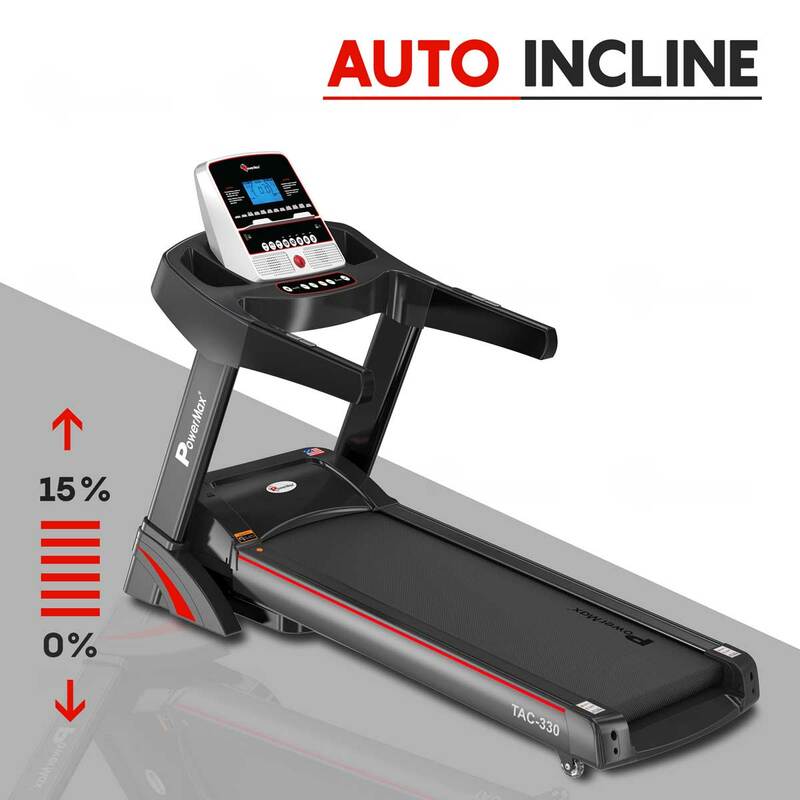 The others factors that treadmills holds are wheels for transportation, Foldable and easy to install, iPad holder, AUX, USB, Input and HI-FI speaker with music control keys.